I have been keeping a secret from you, and I apologize. And that secret is that despite all my best intentions, Smitty and I were not working out. I moved him to a quieter barn just a couple days after Christmas, hoping that the change would be what we needed to further our partnership. And on the ground, things were better. But I had learned a bit of a distrust in him after he developed a spookiness that I now realize are a symptom of his ulcerated stomach. I involved professional help, teaching me how to best work with him from a groundwork perspective as well as training him under saddle. 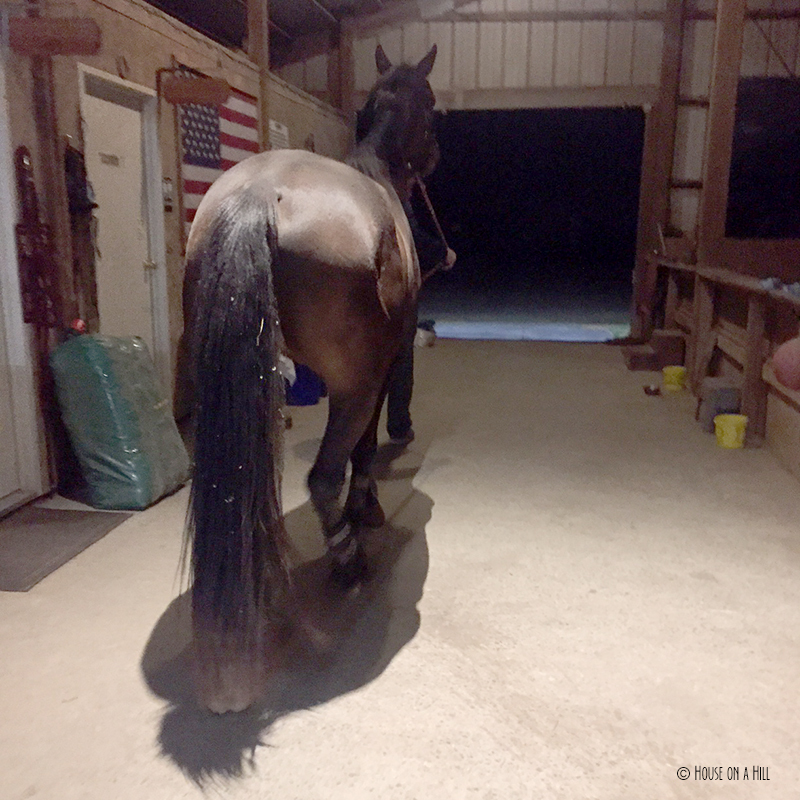 But about a month ago, I suspected that I might not be truly confident enough to get in the saddle myself. Full training was of course an option, and one that probably would be a great solution, but not one I am financially capable of pursuing at this time. So I made the decision to send his information to respected professionals both local and up and down the east coast. And not even two weeks later, I had someone interested to buy him. A well respected professional eventer with an outstanding young horse program. We chatted at length, and she was fully empathetic to my situation as an amateur finding myself between a rock and a hard place. A PPE was done, and this morning, just like that, Smitty loaded on a trailer bound for a new home. My reasons for keeping the situation quiet are manifold, but mostly, because I wanted some privacy while I determined the best scenario for both Smitty and myself, without the pain of answering questions or having to explain myself. Not even my father, or the other boarders at our barn were aware that I decided to sell Smitty, though now of course the news is out and his stall is empty. I am definitely sad about it, and for sure self-medicated with much vino to dry my tears last night. But I feel confident that Smitty will benefit from the tutelage he will receive, and become the amateur-friendly mount that I know is in there. And for myself, I hope to find the horse that is right for me, to go have fun on and get back in the saddle. Here’s hoping he finds me sooner rather than later. Darn, Britt! I’m sorry to hear that. It sounds like it was a tough decision but that you made the best one possible. You both have bright futures, just not together, and that’s okay. Will you re-start your horse search right away? Thanks, really appreciate that. This was not the easiest post to write. But yes, the horse search is already in motion. I’m really ready to get back to riding consistently- I miss it! Aw, I am sorry to hear this. Hugs and support for you! I know this must be terribly hard for you. I have no doubt that you did the right thing for him first, and for you. It is never wrong to find him a better situation when it just is not a match. It is never easy. That is one of the hardest things about being a horseman and having good horsemanship. You should never feel the need to apologize for taking your time to think out and be ok with what is right for the horse. It is a big decision and a lot to take in. It is about him and you. That is all. Thank you for sharing your story and I know it will help others who are going through the same thing. Good luck in searching for your next partner, he/she is out there! Until then, I recommend vino with chocolate pie. Repeat as necessary! It works wonders for the heart in soul in sad times. I totally understand and feel for you. This is the best decision though, and the best outcome. A great home found quickly, a bottle of wine for comfort and the perfect pony out there waiting. i’m sorry, girl. while it didn’t work out the way you had hoped, i seriously commend your decisions to put Smitty in a situation so likely to set him up for success while you focus on figuring out what the best fit for you personally will be. wishing you the best luck! Sorry to hear of you going through this! Those decisions are hard and make things very complicated. Sending all good luck and thoughts your way! So glad you were able to find him a good place so soon. Sometimes partnerships just aren’t there, especially after following one as successful as you and Foster were. He had BIG shoes to fill, and he very likely would’ve been able to…in a few years after you sunk a lot of time and money into him. Timing can be everything with these guys. I think you made the right decision and fingers crossed for you on the upcoming horse search! Sorry things didn’t work out with Smitty but sounds like you found the best possible scenario for everyone. Aw Britt I’m so sorry to hear this, but I agree that you made the right choice! There are a lot of great horses in the world, and Smitty is one of them, but not every great horse is the RIGHT horse for a person! Best of luck on your search! Sorry to hear that you and Smitty did not work out, but looking forward to following along with you on another new journey. I know that we just “met” in person, but if you ever need a quick riding fix to tide you over as you are shopping just let me know! I’m sad it didn’t work out but happy that you were able to rehome him quickly and found a good situation for him. Back to the drawing board now right? We can drink and commiserate on that damn horse search. I’m sorry you had to make such a tough choice, but I’m glad you were able to make a decision that will hopefully work out for the better for the both of you. Can wait to see the next pony that makes its way into your life! Sorry that it didn’t work out, but seems like you made the best decision for everyone. Here’s hoping that Smitty loves his new home and that you find the perfect horse! It’s a always a nearly impossible decision to make, but it sounds like you found him a good match. I hope you find a new partner soon! I’m so sorry, but at least you found a good place for him to go. You gave it a good try, sometimes it’s best to cut your losses there is no shame in that. You have done the right thing and lucky you that once you made the decision it moved quickly instead of dragging on and on hemorrhaging money. 🙂 . This is supposed to be fun first and foremost, it’s too expensive of a sport otherwise. The relationship between horse and rider can be a complicated match, You will find the partner that is best for you and he will go to someone that is best for him as well. Aww too bad it didn’t work out between you two, but I’m sure the right guy or girl is out there for you, and you’ll be back to having fun in no time. Good luck on this round of horse searching! Hopefully your unicorn finds you this time! It’s such a hard decision, but it usually ends up being the right one for both horse and rider. It sounds like Smitty found a great home, and I am sure you will find a great horse, who needs you as his perfect home. Good luck! My heart goes out to you. I’m sure navigating this decision was difficult, but like everyone has said, it sounds like you’ve found a solution that suits all parties. 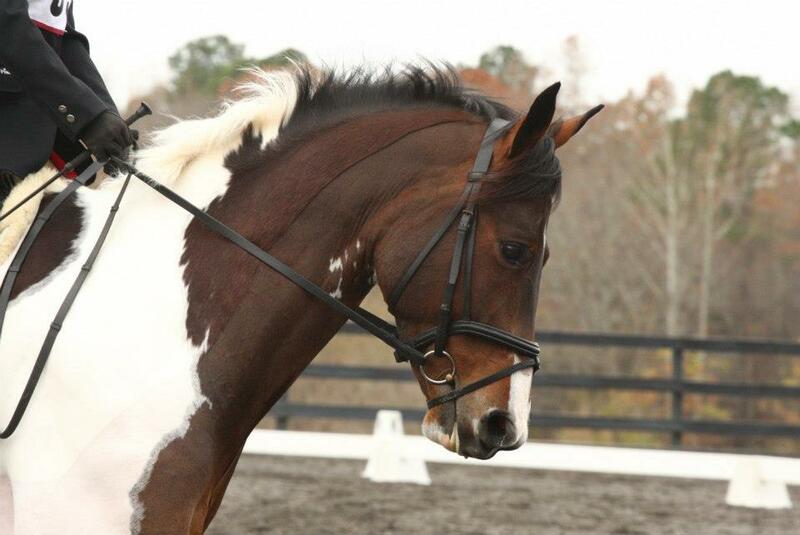 Here’s to hoping Smitty flourishes in his new home and that you find the perfect horse! you’re a great mom! Can’t wait to see the next cutie you bring home. well that’s really awkward…I decided start a website about all the good that lawyers do out there and never saw it through. Now you have two posts from lawyersarescum. Awesome. Love, Leah H.